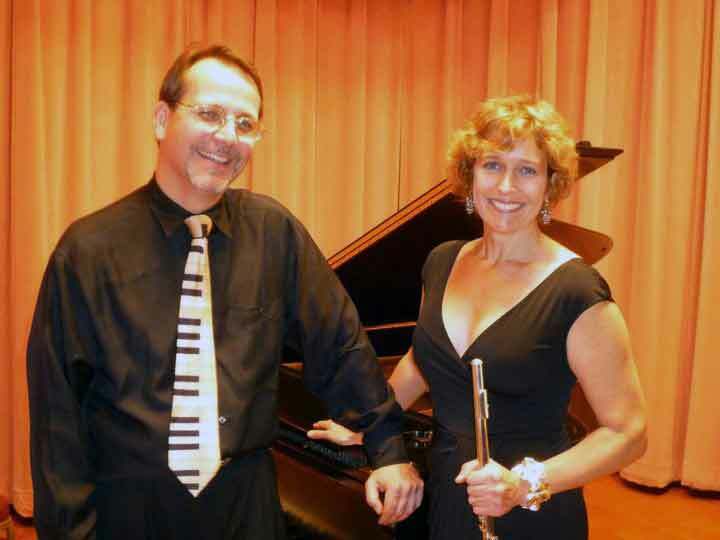 Wabash College’s Visiting Artists Series and WBAA Public Radio will present Suzanne Bona, flute, and Greg Kostraba, piano at 8 p.m., Friday, November 1, in Salter Concert Hall in the Fine Arts Center. The performance, “Bach and Beyond,” features two well-known public radio personalities who are also accomplished musicians: flutist Suzanne Bona, host of public radio’s Sunday Baroque, and pianist Greg Kostraba from WBAA. They’ll perform a varied program of music, ranging from J.S. Bach to John Rutter, infused with the forms and spirit of the Baroque. The program also features the American premiere of the Flute Sonata by English composer Ian Venables.